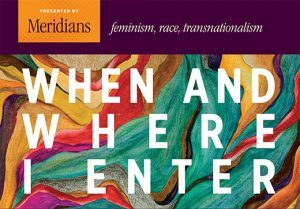 The symposium will celebrate Paula Giddings’ 1984 groundbreaking book, When and Where I Enter, and the rich legacy of women of color feminist scholarship, art, and activism of the ’80s and ’90s, to inspire and embolden us in precarious times. Due to the overwhelming response to this event, registration for the symposium is now closed. If you wish to be placed on a waiting list please e-mail Ellice Amanna at eamanna@smith.edu.